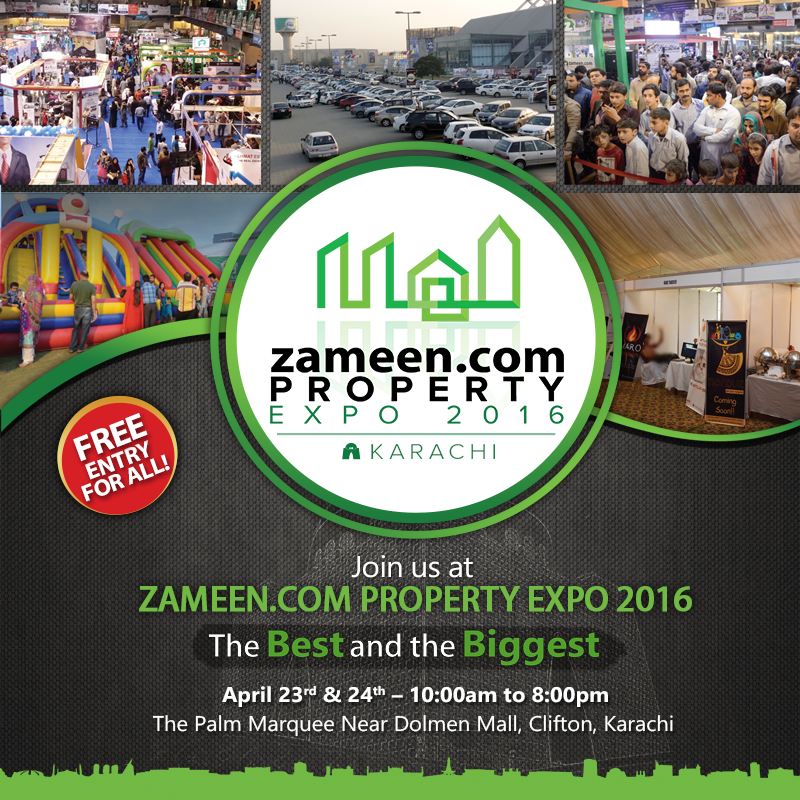 Zameen.com, Pakistan’s largest real estate portal, will hold the Zameen.com Property Expo 2016 (Karachi) at the Palm Marquee on April 23 and 24, 2016. This affair is slated to be one of the most prominent property events in the port city this year. Prominent real estate developers and agents, such as Royal Group, Orbit Developers and Summit Group, will come in direct contact with realty enthusiasts and property seekers from around the city for a weekend of productive interactions. Zameen.com was founded in 2006 by the Ali Khan brothers and has exhibited noteworthy progression since then. Today, it has a team of over to 600 people, presence in 30 major cities, 11 offices, and over 9,000 estate agencies on board. PR professional who loves to discuss global politics over a cup of coffee. Strongly believe that those who hurt children shouldn't be spared, at all.